The Ardbeg Hopper is here! Ardbeg The Peat Hopper Tour + Supernova! The Peat Hopper is coming to The Wine and Cheese Place! The Wine and Cheese Place is proud to announce the release of new Supernova Committee SN2014. We would like to thank all of our customers for making us the number one Ardbeg account in Missouri. The Wine and Cheese Place is the only Ardbeg Embassy Account in Missouri. As a result, we always get a preview special bottle to taste before it arrives , such as the new Supernova! By the way, it is tasty! Here is our Embassy account goody box! Open House -- bring your friends! 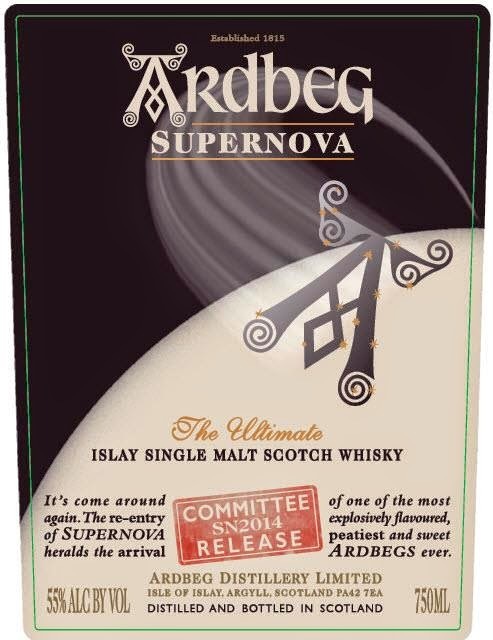 We will also be releasing the Ardbeg Supernova and AuriVerdes that night. We are going to use a raffle method. 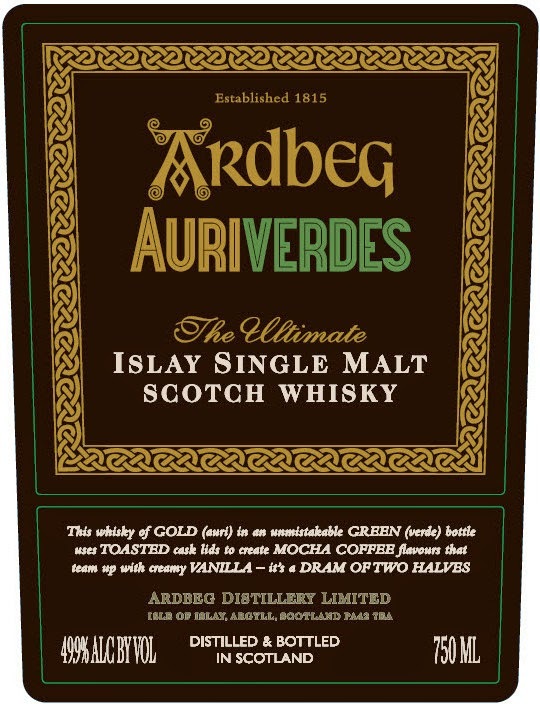 If you are not coming to the event, you can get raffle tickets by purchasing bottles of Ardbeg between now and October 3 - 5:30pm. The bottles must be paid for and picked up in order to get your entry into the drawing. At 6pm October 3rd during the Ardbeg Tasting Event and Peat Hopper Tour we will draw names. You do not have to be present for the drawing. We will contact you and reserve your bottle. Check out the Ardbeg Rocket from last year! With the aim of finding new and unique ingredients, we honed in on New Zealand grown Pacific Gem and Green Bullet hops to create this adventurous Triple IPA. Green Bullet leaps onto your palate with bold, spicy pine and citrus flavors including tropical notes of mango and pineapple. The aggressive yet well-balanced finish will stun the senses of even the most skilled hop hunter. Available tonight at the tasting! Check out this great price! Golden fresh beer with high fruitiness and distinctive notes of exotic fruits.Very limited bitterness. The sunstone - much disputed among scholars. Did the Viking navigators really have such a tool that would help them point out what was east and what was west - even on a less than sunny day? We certainly believe so. Many years later no sunstone was needed when Amager Bryghus was invaded by what very much looked like Viking ancestors of American descent. Hailing from Munster, Indiana, Chris Boggess and Barnaby Struve of Three Floyds Brewing arrived not with a vengeance but with very loud King Diamond on their portable mp3 player. This was not a day for slaughter but for brewing. And brew we did. The mellow and dangerously quaffable Arctic SunStone is proof that even Viking warriors can have a more subtle side to them. All hail to Three Floyds. Anchorage Brewing - do not miss these amazing beers! "Unique to the north and feared by man and beast, the WHITEOUT comes without warning. With quiet ferocity, how quickly this force erases the sensations and reduces any creature to its most basic elements. When enveloped in one, sight, sound and even tactile sensation are ripped away, as snowflakes in motion swallow all sense of being, leaving one to cower, hunker down and wait it out, hoping that it passes quickly or that the end is merciful. Of variable and unknown duration minutes seem like eternity in a whiteout. But when it eases, and those final snowflakes drift in the blue sky, any survivor is changed. Suddenly, life is fuller and more robust. The thirst for this new life can be staked in many ways. Whiteout Wit compliments the experience in both intensity and rewarding calm. The quiet delicacy of the light malts are like those vanishing flakes. Sorachi Ace hops contribute the lemony aroma and flavor, imparting additional life to the brew, reminding you of how good it is to be alive. Lemon peel, Indian coriander and black peppercorns add the same invigorating zest whiteout survivors feel when stepping from the world of white. Triple fermentation, the long slumber in French Chardonnay barrels and a shot of brettanomyces provide an explosion of flavor when combined with the other swirling, enticing elements. Its okay. Stand up, shake it off and feel alive' that's what Whiteout Wit is all about." -- label. "A feeling overcomes, deriving of a most curious perplexity. A rich desire awakens to explore the contents of such delicate loveliness. Upon a deep connection with rounded lips, a bitter sweet complexity enters the soul...and so begins an amorous affair heightened awareness envelopes the senses as the grandeur of such bold character develops. Caramel beauty exhibits itself, sprawling its full body widely upward, bubbling with excitement. Tantalizing effects of peppery bitterness grasps the tongue. Enchantment takes hold as a blanket of citrus slowly unfolds. As in any noteworthy love story, a subtle fruity sweetness of a rose emerges to the finish. A warm contentment grazes over, signifying a united marriage of balance and pleasure. This is the version brewed at Anchorage! "There seems to be a new collaboration brew coming out every week these days. Some are born from friendship, some from mutual admiration for each others craft, and some are just from marketing standpoint. 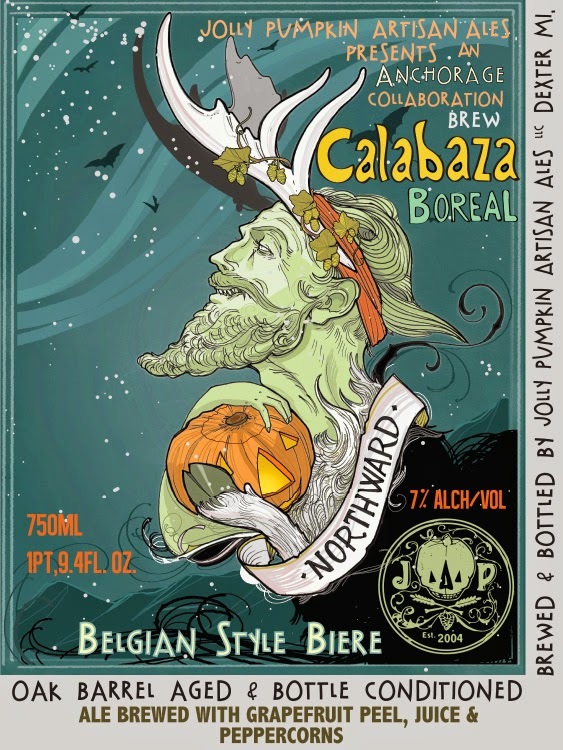 Calabaza Boreal was born from admiration and friendship. 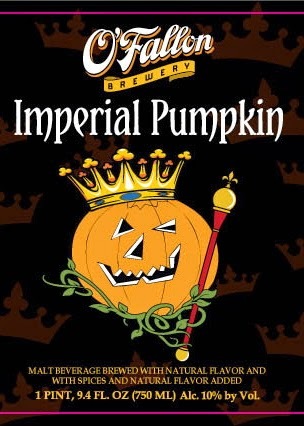 When American wild ales first began to surface, for me, Jolly Pumpkin was at the forefront and still is. In 2009, before starting Anchorage Brewing Company, I was given a bottle of Oro de Calabaza from Matt Dinges of the Shelton Brothers when he was visiting for our annual Barleywine Fest. That beer is still one of my favorite beers, and was one of my inspirations to start Anchorage Brewing company. After starting the brewery with Shelton representing me, Matt introduced me to Ron Jeffries, the spooky guy behind Jolly Pumpkin. We would chat back and forth about brewing with oak and different techniques we use in our breweries. Eventually, we decided to make a beer together. It has been such a huge honor to create something with someone that has inspired me so much! When introspection fails, it’s time to look outward for inspiration, perhaps Northward! One of the people who inspired me this past year is my friend Gabe Fletcher, of Anchorage Brewing Co. We brewed this beer together. I hope it inspires you. Northward! Oskar Blues is coming to The Wine and Cheese Place!!!! 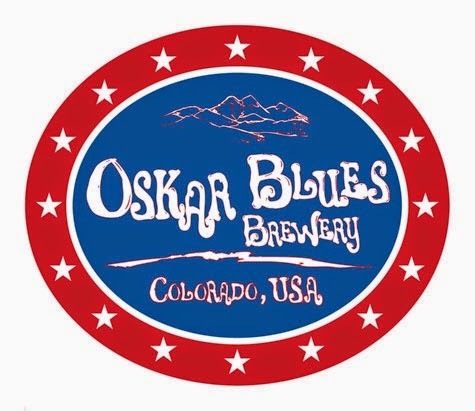 Beginning in November, Oskar Blues Brewery out of Longmont, CO will be available in Missouri. Just announced in a press release, Oskar Blues has chosen Major Brands to distribute their beers in the Show-Me State. Longmont, CO, and Brevard, NC–Oskar Blues Brewery, creator of the first American craft beer in a CAN, has partnered with Major Brands, Inc., of Missouri, to start distribution of the brewery’s full line-up of beers, in both CANS and on draft, in November. “Major Brands is excited to be Oskar Blues’ choice in Missouri and we are ready to show Missouri what Oskar Blues is all about. Our companies’ shared passion for excellence and for giving back to our communities will ensure a successful partnership,” says Sue McCollum, Major Brands CEO. The official Oskar Blues brew launch will take place during the week of November 10th with kick-off events and a market blitz featuring a full team of Oskar Blues and Major Brands folks. Oskar Blues is bringing all of its award-winning beers to bars, restaurants, grocery stores, and bottle shops throughout the Show-Me state. Dale’s Pale Ale, Mama’s Little Yella Pils, and Old Chub CANS will be available in 12-ounce six-packs and a variety 12-pack called CANundrum. Dale’s and Mama’s will also be sold in 19.2 single-serve Imperial pints or stovepipe CANs. Oskar Blues newest CAN, Old Chub Nitro, is available in 16.4-ounce over pint four-packs. The Imperials, Deviant Dale’s IPA and G’Knight Red IPA, will be sold in 16-ounce four-packs. Fall/Winter Seasonal, Ten FIDY, and Spring/Summer Seasonal, GUBNA, will also be available in 12-ounce four-packs of CANS. The Missouri launch follows additional Oskar Blues distribution in Kansas, Nevada, Delaware, Minnesota, Idaho, southern Alabama, and central California in 2014, bringing the number of states that Oskar Blues distributes in to 36 total. Look for more details on the Missouri launch and specifics of Oskar Blues kick-off events in the coming weeks. Dale’s Pale Ale: As Oskar Blues’ flagship beer, this American Pale Ale delivers balanced rich flavors of malts and hops (6.5% ABV, 65 IBUs). The award-winning beer was named the “Top U.S. Pale Ale” by The New York Times and is the number-one selling pale ale in Colorado. Mama’s Little Yella Pils: This Bohemian Style Pilsner is a refreshing balance of Saaz hops and specialty German malts while providing a gentle flavor (5.3% ABV, 35 IBUs). Like summer in your mouth. Old Chub Scotch Ale: Strong Scotch Ale, brewed with rich malts, specialty and smoked grains to deliver flavors of semi-sweet cocoa and coffee (8% ABV). G’Knight Imperial Red IPA: The dry-hopped double-red IPA embodies a strong aroma and malty hopped flavors while providing a rich finish (8.7% ABV, 60 IBUs). Deviant Dale’s IPA: American-style India Pale Ale, exemplifies aromas of citrus, grapefruit rind and piney resins to deliver a full-flavor (8% ABV, 85 IBUs). Stay tuned for more details as we get closer!! Emails sent out for the BRC members allocated on these 2. Thanks for the great support! Our decadent Oatmeal Stout lovingly aged in Bourbon barrels. Beautiful chocolate, espresso and vanilla-bourbon aromas hold your nose hostage. Rich dark chocolate truffle, bourbon and espresso create a dangerously smooth and incredibly drinkable barrel aged Oatmeal Stout. Hoarding tendencies may occur. Our flagship beer brewed to double strength. 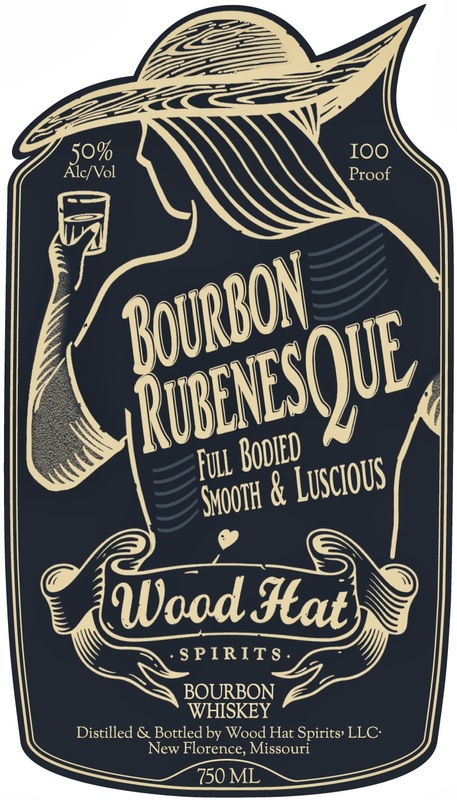 Immense toffee, vanilla, coconut and caramel malt married with American oak aromas emerge. The first sip develops with sugary caramel, molasses and vanilla, finishing with English toffee and toasted coconut. A beer to be reckoned with and perfect for sharing. REMEMBER: Watch for bottled on dates located on the necks or bottom left corner of the label for each of our beers. Our Proprietor's Reserve Series, Barrel-aged beers are built to be aged carefully. Storing in a dark place at or below 40F will allow them to best age for several years. Mitch Steele Brewmaster, Stone Brewing Co. This year’s winner of our American Homebrewers Association-sanctioned homebrewing competition, Chris Banker, helped keep us grounded to our homebrewing roots by introducing flavors consistent with our regional palate. His chocolate, cinnamon, nutmeg, chile pepper and coffee-infused milk stout was built to mimic the flavors of Mexican hot chocolate, a beloved specialty from our neighbors to the south, as our callaborators from Baja California, Cervezería Insurgente, will attest. Layered with tiers of earthiness, spice and roast, this creamy, semisweet blue-ribbon beer confirms that the spirit of the American homebrewer is not only alive and kicking, but thriving at an all-time high. There’s no shortage of talented people at Stone, and each makes their presence known in their own unique way. Brian Gallagher, a brewer who learned the art of fermentation in the UK, used the beer you now hold, a take on a traditional English milk stout, as his vehicle for personal expression. Originally brewed as a limited edition offering at Stone Brewing World Bistro & Gardens – Liberty Station, this coffee-laced milk stout quickly became a favorite among Gallagher’s peers. Made bittersweet and creamy while remaining smooth and easy-drinking thanks to the addition of milk sugar, it’s clear in one sip why this is a brew we needed to share with fans everywhere. We do have about 10 growlers left! When everyone in Westeros seems to be fighting for the Iron Throne it can seem like there’s nothing to do but sit back and enjoy a glass of craft brewed beer. Keep well-stocked with the Game of Thrones Brewery Ommegang Growler. The amber glass growler features Game of Thrones on one side with the Ommegang Brewery logo on the other. 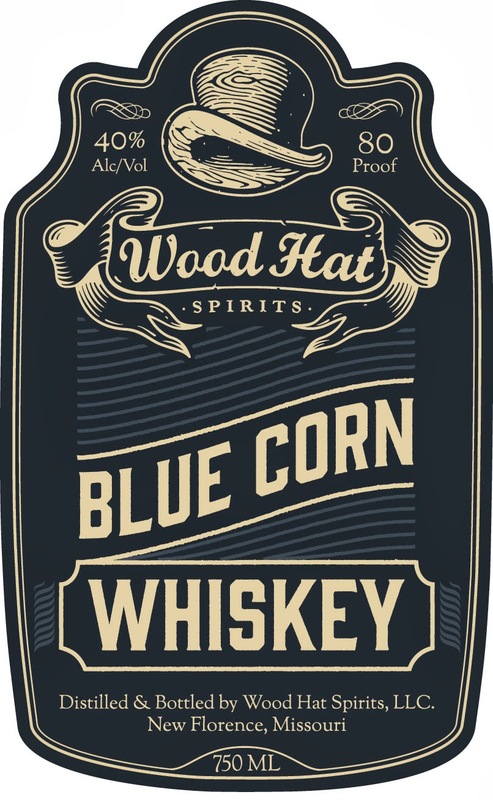 The large bottle features a handle, raised wheat detailing at the bottom, and a hinged gasket cap. The collectible growler is so unique, Westeros may just start fighting over it, as well. One million -- we are getting ready to get our 1,000,000 hit on our blog. 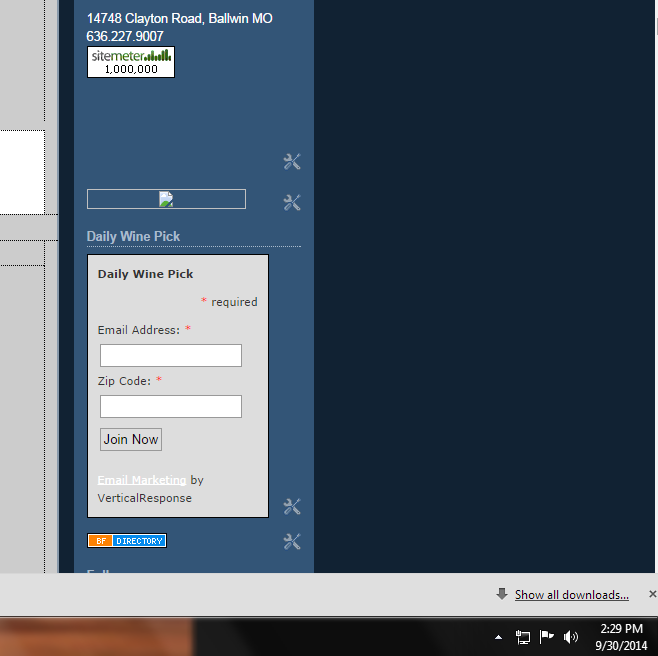 We are a little over 3,000 hits shy of one million! We hit 500,000 on October 19th, 2010. Whoever guesses the closest to the minute gets a price package chosen just for you. You are guaranteed to be able to purchase a bottle from the next Cantillon release. You are guaranteed to be able to purchase our first Side Project release. The closest person without going over wins. 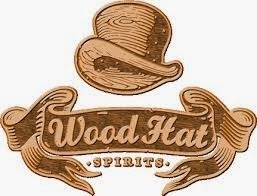 If more than one person guesses the right time, we will put the names in a hat and draw one winner. The name Zinnebir refers to a term from Brussels tradition, — ‘zinneke’ — slang for the wild mixed-breed dogs that used to inhabit the poor quarters of the city along the Zinne. It means ‘little bastards,’ and has been applied more recently to those young men living in the poor quarters of Brussels who have flemish-speaking fathers and french-speaking mothers (or vice versa). De La Senne brewer Bernard LeBoucq identifies strongly with the ‘little bastards’; he is a French-speaking Bruxellois, brewing in the heart of the Flemish Payottenland. Bernard came to De La Senne from the Sint Pieters brewery, and brought his Zinnebier with him. The recipe originated in a very Flemish patch of countryside in Sint Pieters, along the Zinne, in the heart of lambic-producing territory. Bernard worried that the folks in the town of Sint Pieters would have a hard time accepting a brewer from the Big City, Brussels, and his beer. No problem. While we were visiting, an old farmer in dirty coveralls, aromatic of cow crap and boasting a grand total of five teeth, dropped in for a glass of Zinnebir, and took the opportunity to profess his devotion to the beer and the local brewery. It is a tasty and very well-made brew, indeed, and it is only getting better. The Zinnebier has evolved along with the brewer. 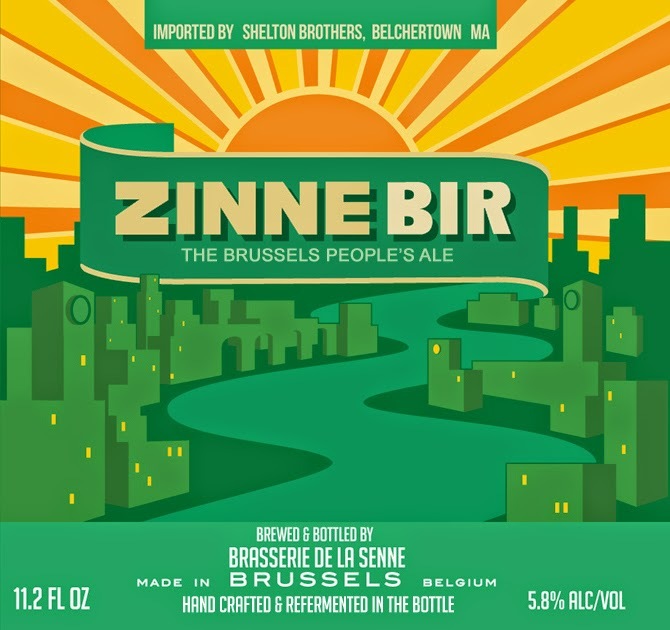 When Bernard hooked up with Yvan De Baets of De la Senne, the Zinnebier evolved from a strong, malt-focused, 8% alcohol beer to a bright, light, 5.5% beer with the same yeasty complexity, malt backdrop, and refreshing hop bitterness, that the original was known for. We see good things happening as Bernard and Yvan continue to collaborate on new, exciting brews. Look for more De la Senne soon, when construction of their very own brewery wraps up in Spring 2010! Bernard Leboucq and Yvan De Baets are Belgium’s newest, perhaps smallest, and most fiercely principled brewers in Belgium. In many ways, they represent the small, artisanal breweries that are the heart and soul of Belgian brewing. While the big guys work tirelessly to make the brewing process shorter and cheaper – and their beers as sweetly inoffensive to the masses as can be – there remains, thank goodness, a tough and dedicated bunch of small breweries that are not afraid to make a bold statement. Interestingly, in Belgium, bold now means a return to the way things used to be, before over-sugaring, over-spicing, and under-hopping became de rigueur. 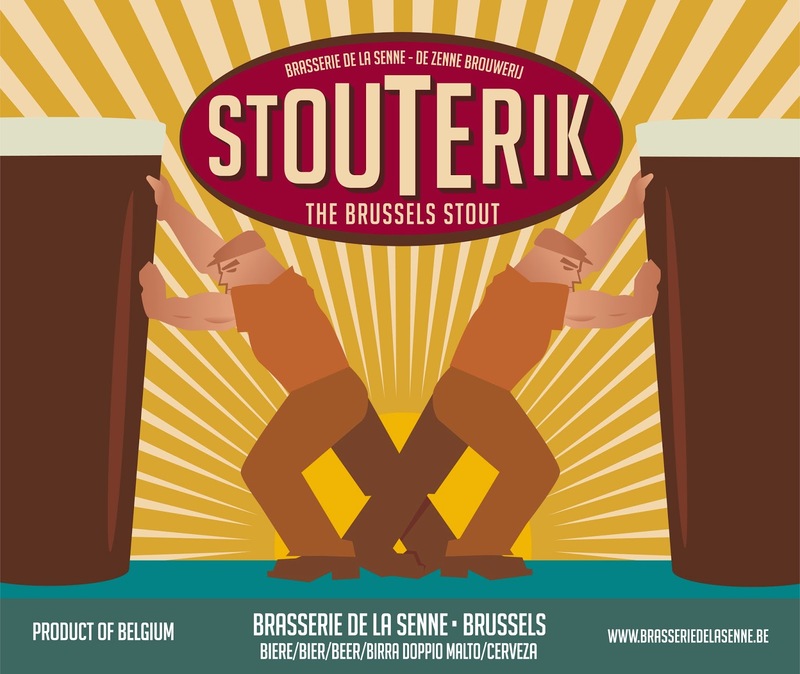 Stouterik is a classic Belgian Stout, in that sense — it’s only 4.5%, contains no spices, won’t make your tongue stick to the roof of your mouth, but we defy anyone to just drink one. Roasted malts and unmalted roasted barley give layers of dark bitter, chocolatey flavors, and like all De La Senne beers, this one is hopped to the max for drinkability. 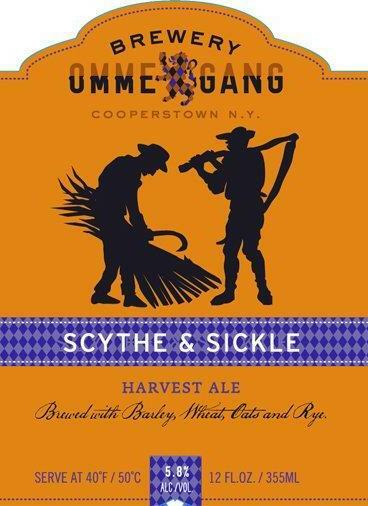 Scythe and Sickle is Ommegang’s foray into honoring the harvest season. Using barley, oats, wheat, and rye, we’ve brought the mood of fall to life with vibrant and flavorful passion. Farming is about precision, timing and care. At Ommegang we place the same emphasis a farmer has for his crops into the creation of our beers. Scythe and Sickle is a testament to the craft and care of farming, from which our farmstead-brewed beers benefit greatly. Brewed with balance in mind, Scythe & Sickle reveals a smooth and creamy mouthfeel with light toastiness and gentle sweetness. Bright amber in color from the mixed malts, the beer is balanced with delicate hopping to counter rather than overpower the malt profile. At this point, it is very limited. 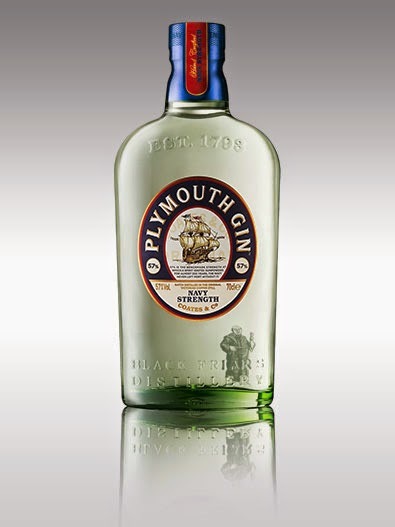 For almost two centuries, Her Majesty's Naval Fleet was sustained by Plymouth Gin and no ship left port without a bottle of Navy Strength 114 proof (57% abv) on board. For some it is the ultimate gin, with a rich but very balanced taste that takes a Martini or a Gin and Tonic to a new level. Perfect for the demands of today's more adventurous spirit drinkers and mixologists. The 57% ABV amplifies the aroma and fragrance of the botanicals, yet retains the smooth and balanced character Plymouth Gin is renowned for. Enjoy Navy Strength in your favourite cocktail, or in classic drinks such as a Pink Gin or a Gimlet, reputedly created by the British Royal Navy for medicinal purposes. Invented by naval doctor Rear-Admiral Sir Thomas Desmond Gimlette (1857-1943), who is said to have mixed gin with the daily rations of lime 'to help the medicine go down'. Nose - Intense, bold and fresh aroma of juniper followed by notes of coriander and cardamom. 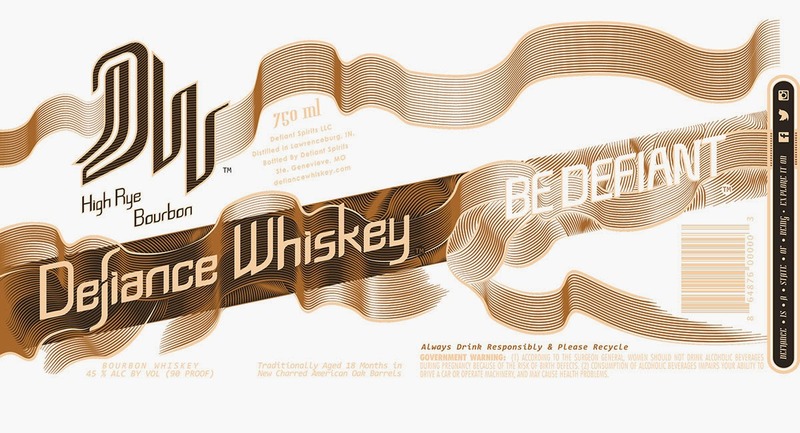 Palate - Full bodied, smooth and flavourful with a slight sweetness. Finish - Aromatic, long and rich. North Peak Hooligan Pumpkin and Humongous!